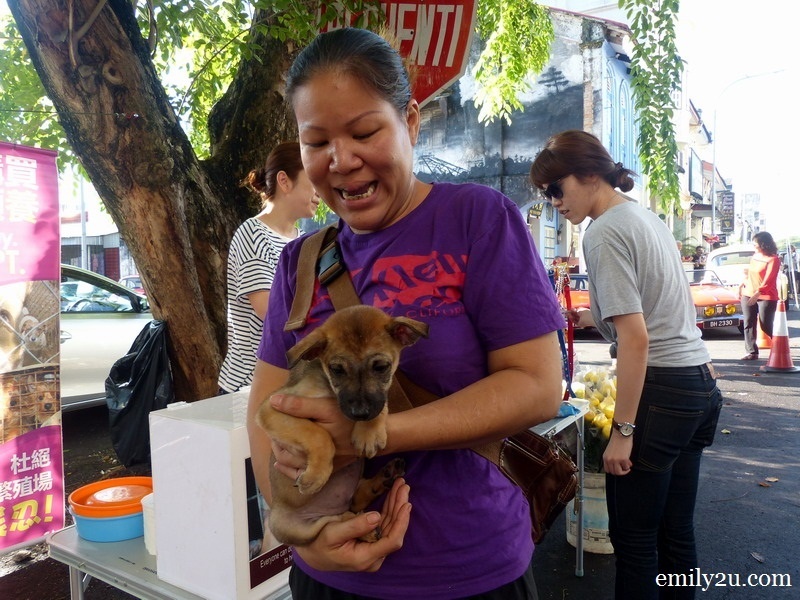 I was in Ipoh Old Town and bumped into a group of volunteers who set up a temporary puppy adoption counter. It was shady under the two huge trees, so I spent some time chatting with them. If you are looking for a puppy now, leave me a comment and I will connect you to the right person. 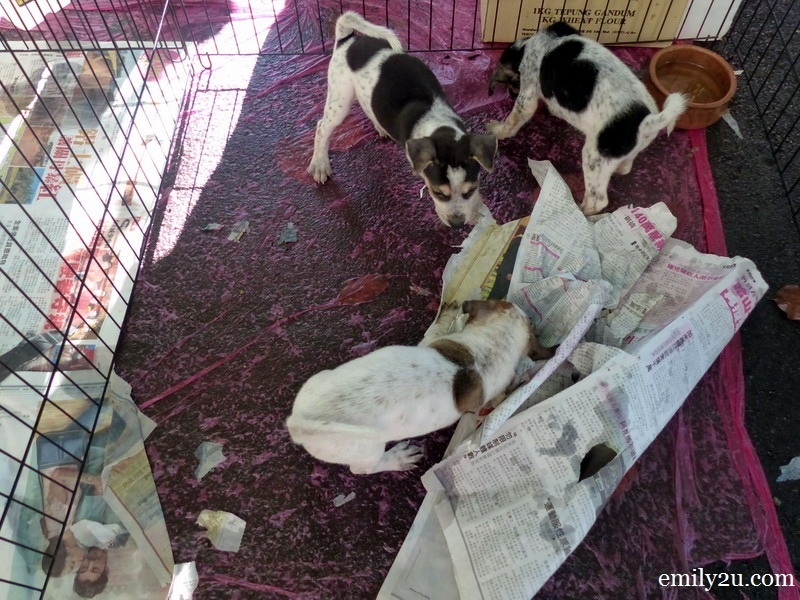 These puppies are usually dewormed, spayed and vaccinated. Anyone who wants to get a puppy should adopt and not buy. Adoption of puppies through this group of volunteers is free-of-charge. 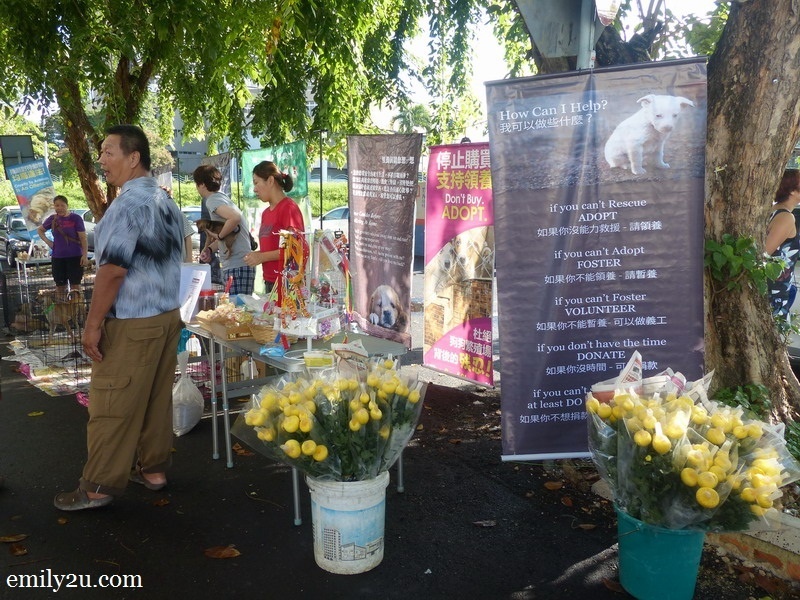 38 Responses for "Puppies For Adoption in Ipoh"
Fantastic stuff, how often do they run the adoption session? Our dog got snatched, suspect the local council people came into the compound to take the dog away as they were doing some cleaning up work in Falim. I’m sorry to hear about your missing dog. 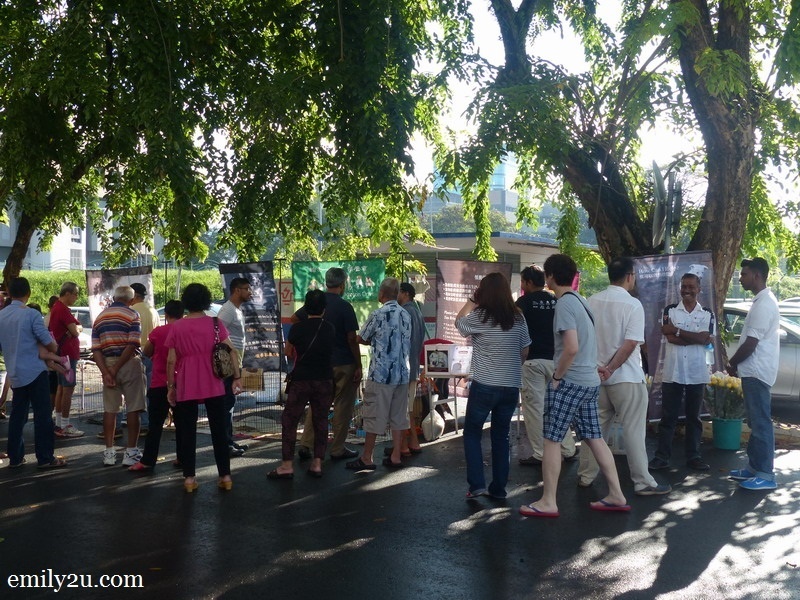 The above story is about a group of volunteers, so they do not have a fixed schedule on adoption drives. You can, however, leave me a message and I can pass it on to them. So nice effort of organising this dogs adoption! Did you adopt any Emily? No, I did not. Already have a dog at home. I totally agree with you. Puppies should be adopted and not bought! They are man’s Best Friend and deserve all the love. it’s so adorable! It’s a nice activities! adopt is better than purchase! thanks for sharing this. i will let my Ipoh friends know. It is a good cause to keep those animals safe and sound. I have a stray puppy which is under my nursery. However, I want to find an adopter for the puppy. I hope you could assist me by passing a message to them and inform me when will be their coming adoption drive. May i have the contact person details. Would like to adopt a dog as pet. Is there any adoption drive in the coming days or weeks? Would like to adopt a dog as a pet and guard my house. TQ. I have emailed the both of you with contact details. Can you pass me contact number for above temporary puppy adoption volunteer? Sorry, I am not at liberty to do so. Do let me know what kind of assistance you are looking for. Thanks. 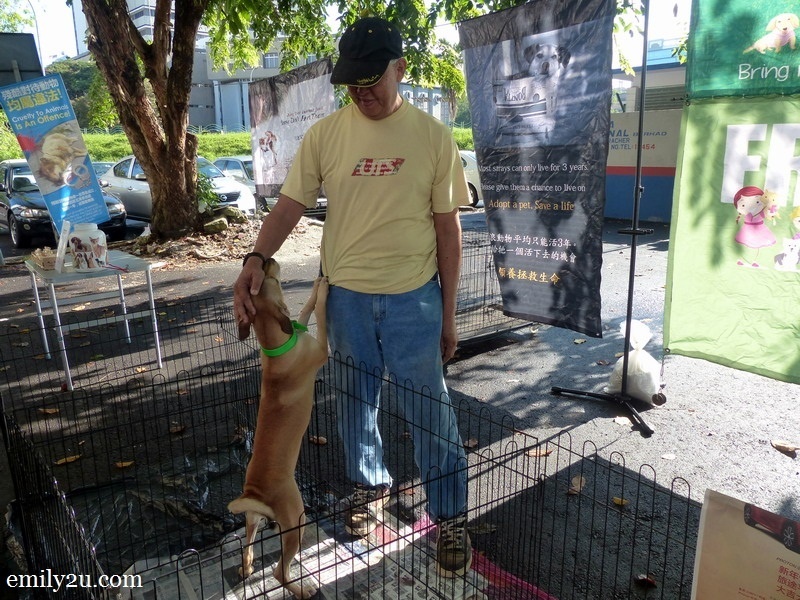 I am interested to adopt a puppy from the shelter in Ipoh Old Town. I saw them and their booth yesterday. However i was busy and only able to passby. I would like to ask if they have their booth there every weekend or everyday. If every day, then i would be able to visit them to adopt a puppy. Or else I would hope for your assistance to connect with them as i will be going back to Kuala Lumpur by thursday 8th Sept. I am planning to bring that puppy back to KL with me. So do help me up. Let me have your phone number and I will get back to you with the rescuer’s number. Or, you may contact another person, Keshov Chabra, at 017-5092751 as listed above. Rescuers will get back to you soon. I’ll get someone to get in touch with you. I would like to adopt a puppy. Could you please connect me to someone to make this happen? I am Uncle Rama Ipoh (Sharm’s dad). I need 2 male puppies. My present doggie is 77 yrs old (11 yrs x 7). I’ll get someone to get in touch with you. Thanks. I am desperately looking for puppies to be adopted as I am a pet lover especially puppies. I hope you can help me out. Thanks. hi Emily, i would like to adopt 1 male and 1 female big breed puppy. pls email me if u have it. is it possible for me to adopt a golden retriever? I so much want a puppy for my daughter. Please reply. Thank u so much. Hi there is am looking to adopt a puppy, can you please help us to arrange. My shih-tzu got stolen and I’m looking to adopt a small dog. Would really appreciate it if you could give me their contact information. Thank you!